Are you recently experiencing some problems with your garage door? If yes, this means you need to contact a garage door repair company to get the help you need. There are so many garage door repair companies but how do you know which one has the expertise to ensure they handle the job well? This article will give you a series of questions you need to ask yourself and a garage door repair company. 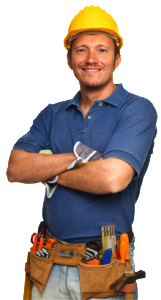 These questions will help you pick the right company for garage door repair in Vaughan. Do you have experience in repairing the type of garage door I have? Not all garage door repair companies have the experience to handle all types of garage doors. Some only deal with one type of garage doors and you need to have this information beforehand. Call and explain which type of garage door you have and ask the company if they have any experience in repairing that kind of garage door. Calling ahead and inquiring saves you time since you can call in a company to check your door only for them to tell you they have no expertise on the type of garage door you have. What do your clients have to say about the company? It is important to have a company with a good reputation handle your garage door repairs. You can check reviews about a company online to see what other customers have to say about the company. A good company will have good reviews. You can also ask people you know who have had their garage doors repaired to recommend a reliable company that will handle your garage door repairs professionally. Does your company hire qualified personnel? Since you will be paying for services, you need to ensure that the people handling your garage door repairs are qualified for the job. Find out if a company hires certified technicians to handle the repairs. A professional garage door repair company keeps their technicians current by occasionally sending them to participate in training opportunities. A qualified technician is able to identify the problem on your garage door within the first few minutes of being in your garage. How much time do you need to repair my garage door? You need to ask how much time the company expects to finish with your garage door repairs. Most companies offer same day service calls while others offer an extended time. If you are a busy person, you need this information so that you can avail yourself during the repairs. You need to understand that some repair jobs take longer than others depending on the type of problem on your garage door. Never shy away from getting a quotation from a company for the repair services. Take in as many quotations as you can and then compare the prices. This will help you to set aside a budget for the repairs and give you time to look for the money if you are short of funds. Never rush to settle on the cheapest quotation before finding out if the company has the expertise to handle your repair work. Just because a company is cheap, does not guarantee they will offer quality services. Never forget to ask a garage door repair company if they will offer warranty. A company that takes pride in its work will offer warranty for the services they offer. Some companies are known to offer extended warranties that are better than the garage door manufacturer. This way you can tell that a garage door repair company is honest and legitimate.